Ph.D. Physics, 2000, Indian Institute of Science, Bangalore, India. M.S. Physics, 1994, Indian Institute of Science, Bangalore, India. 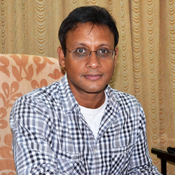 Associate Professor, Indian Institute of Science, Bangalore, India, Aug 2011 – Current. Assistant Professor, Indian Institute of Science, Bangalore, India, Dec 2005 – Aug 2011. Post-doctoral fellow, Cavendish Laboratory at Cambridge University, Cambridge, UK, Jan 2000 – Sept 2005.